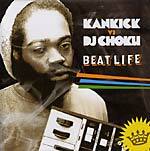 "26 classic instrumentals from legendary Oxnard producer KANKICK. Kankick is an esteemed producer who was an integral part of Lootpack. Kankick was one of Madlib's first beatmaking partners. 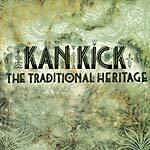 Originally released to limited qtys in 2004 on CD, this marks the first time the Traditional Heritage is available on Vinyl! KanKick grew up in the city of Oxnard, along with several fellow hip-hop musicians including Madlib, Oh No, DJ Romes and Dudley Perkins. In the early 90's he was an integral part of Lootpack, appearing on several of their tracks. He has also produced some of The Alkaholiks' early tracks. Later he went on to produce a number of solo instrumental albums, as well as collaborate with several rappers and producers such as Planet Asia, Declaime and DJ Babu. His 2001 release, From Artz Unknown was his first official solo introduction and featured West Coast rappers such as Declaime, The Visionaries, Krondon, Phil Da Agony, Planet Asia and Wildchild."